What makes a shipnepair yard successful? Do they: (a) complete over 500 drydockings each year? (b) get their customers' ships back to sea much faster than their competition? or (c) have multi-berth flexibility at one site? 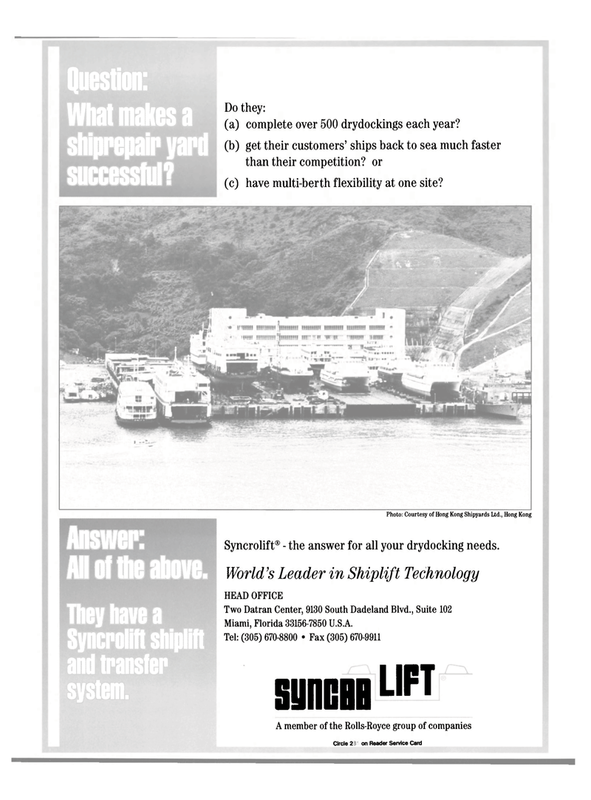 Syncrolift® - the answer for all your drydocking needs. They have a Syncrolift shiplift and transfer system. OFFICE Two DATRAN CENTER Shiplift Technology Hong Kong Shipyards Ltd.